Creek Side Hidden Treasure. 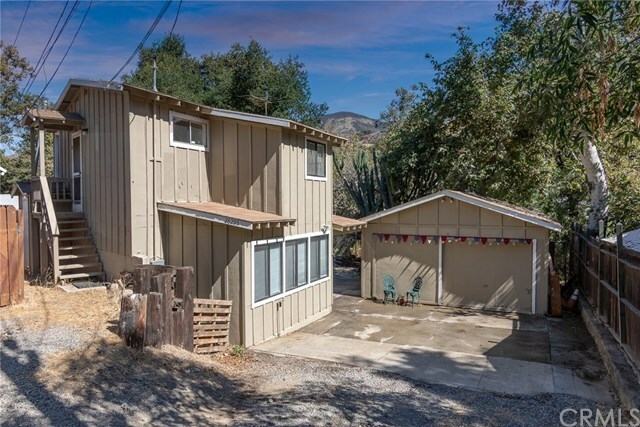 You will fall in love with this 3 bedroom 2 bath home walking distance to the store, cafe and post office in downtown Silverado. Open floorplan downstairs, Special features include Wood burning stove in the living room, Granite countered kitchen, whimsical stained glass window in the hall bath. Soaking tub in master bath, sky lighted master bedroom and lots of nook and crannies for storage. Huge laundry room with work space and a 1 car garage. Private fenced back yard backing to the creek with room for a dog run and garden. Call today to experience this home for yourself. It is truly a "Home Sweet Home."